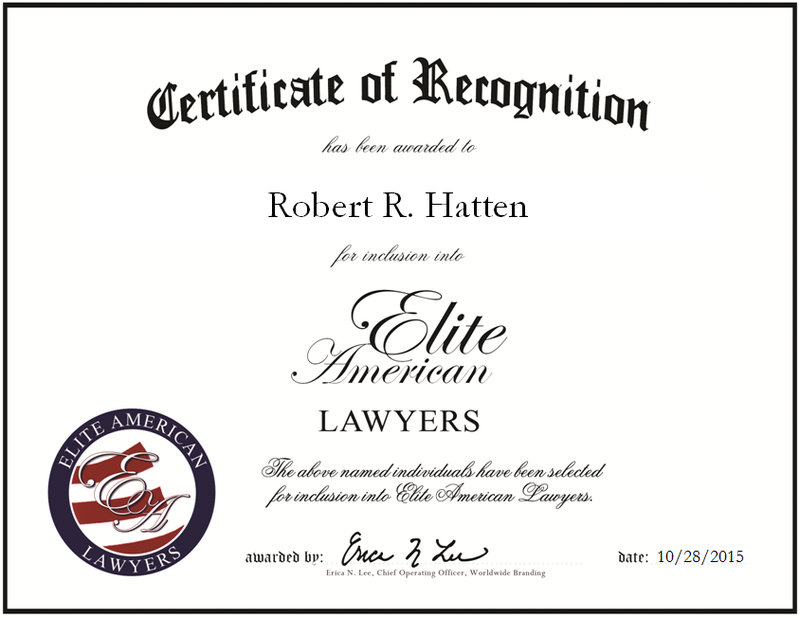 Newport News, Virginia, October 28, 2015, Robert R. Hatten, Managing Partner of Patten, Wornom, Hatten & Diamonstein, has been recognized by Elite American Lawyers, for dedication, achievement and leadership in asbestos litigation. Mr. Hatten has 43 years of professional experience, with 40 years as a managing partner of Patten, Wornom, Hatten & Diamonstein. As a prominent practitioner of asbestos litigation, he provides clients with legal services and consultations in all areas of that field. Looking back, Mr. Hatten attributes his success to his passion and hard work within the area of asbestos litigation. His drive to help people in this area stemmed from seeing the ill effects that asbestos has had on his friends, family and local community. Mr. Hatten became involved in his profession because he had always had an interest in the field of law which stemmed from an early age. He was inspired by his uncle, who was an attorney and circuit court judge. In years to come, Mr. Hatten intends to assist the next generation of trial lawyers within his firm through coaching and mentoring, so that they can provide the same high level of legal representation for their clients. This entry was posted in Business Law, Personal Injury and tagged asbestos, asbestos litigation, consultations, consulting, legal servies, personal injury. Bookmark the permalink.